See how the TrainingPeaks app will help you train the right way. Choose from thousands of plans to help guide your training. Get matched with a certified coach or search the directory. Take your training and racing to the next level with WKO4 and Best Bike Split. See how the TrainingPeaks app will help you coach more effectively. Products and services to help you manage and grow your coaching business. Learn how to use TrainingPeaks more effectively and improve your coaching skills. Help your athletes get to the next level with WKO4 and Best Bike Split. In order to truely S.E.T yourself up for ultimate success in this challenging but very attainable endeavor you need a plan designed to get you there. Triathlon can be an incredibly complex and confusing sport to wrap your mind around. 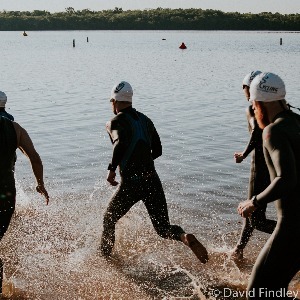 Blending swim, bike, and run sessions together can seem daunting and almost impossible. Our plans are designed to simplify the process, prescribe effective training sessions, and transform your fitness. If this sounds like what you are looking for continue reading on! The first time Ironman to the experienced veteran. This proven plan has yielded outstanding results for all ages and levels. This plan is tailored for the athlete who wants to push themselves to a great IM finish while also not giving up too much personal or family time. If you are ready for to tackle your next challenge then lets get started today! Please email me at c26coach@gmail.com with any questions regarding the plan outline, setting appropriate zones, terminology, methodology and/or personal coaching inquiries. You can also reach me on my cell at 615-878-7159. Just ride. Nothing hard. Keep everything Zone 1 or low Zone 2. Just enjoy it. 200 warm up with Pull buoy. Then right into 25x 25s all out sprint on :30 sec rest. No drills. No thinking. Just get faster. Get faster. Get faster. 200 easy easy. 10 x 50's with 15 fast and 35 easy. Same thoughts as before. My underlying focus with all athletes is blending a positive life change with performance that extends beyond the finish line. I do not offer "traditional training plans", but a coach/athlete relationship focused on communication and a commitment to the process of getting better every day. If this sounds like a something you are looking for please feel free to email me to discuss building a strong coach/athlete relationship or on how to approach one of my online training plans. Yes, I would like to receive the latest TrainingPeaks training content as well as updates on TrainingPeaks products, services, and events. I can unsubscribe at any time.